Alexandra Momin was born in Belleville, New Jersey, and completed a degree in Fine Art at New Jersey City University, May 1998. She currently lives and works in New York City. Her work has been exhibited in the United States and Europe, notably As The Eye Is Formed at Parrish Art Museum, Water Mill, NY (2013); Dividing Light, Measuring Darkness at Curious Matter Gallery, Jersey City, NJ (2011); Luna Nera/Post Industrial Baroques Live Media Art Exhibition & Concert at Raum 18, Berlin, Germany (2009); and The Last Commencement at The Mixed Grill, Jersey City, NJ (1998). In 2012 she had a one-woman show, Energeia at The Coffee Cave in Newark, NJ. Her work has also appeared in Streaming Festival, Sixth Edition, The Hague, Netherlands (2011); Rafskinna Magazine, Reyjaavik, Iceland (2009); Mudfish (2000). 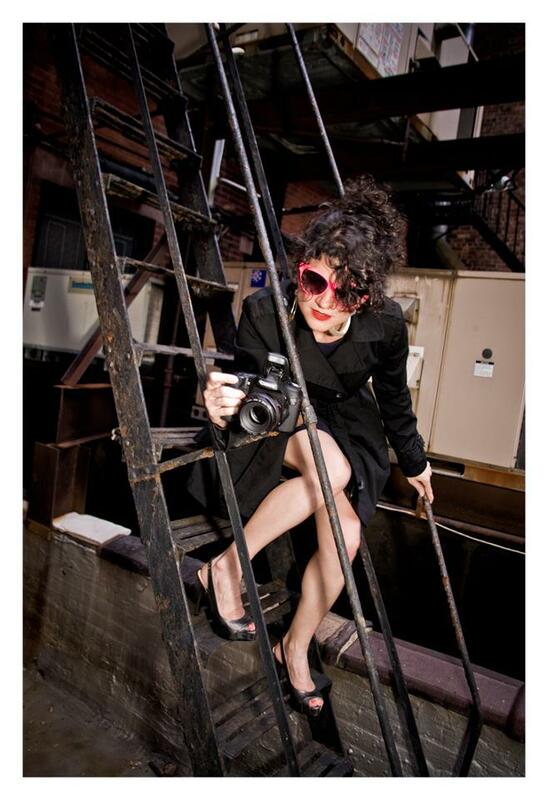 Since December 2011, she has been the resident photographer for Mobile Mondays at The Bowery Electric. An inveterate music lover, she has toured Europe as opening DJ for MRC Riddims; scored a commercial for MTV2; directed the short film “The Sea Has Fallen” to accompany the band Destructo Swarmbots’ musical score; made music videos for the bands Dälek, The Lost Crusaders, and Ifwhen; created or co-created album art for Oddateee, Dälek, and Ifwhen; and created video Installation for New World Stages’ musical performance, “Becoming Relevant” (2012).